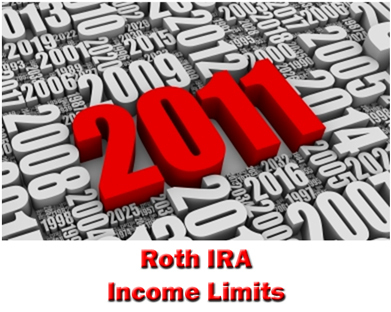 What are the 2011 Roth IRA income limits? The limits change from year to year, so if you plan to make a contribution for the 2011 tax year, you need to know. The answers of course depend on your tax filing status - whether you're single, head of household, married filing separately, married filing jointly, or other tax filing status. $179,000 for those who are married and filing jointly on their tax return. From 2010 to 2011, the allowable income limits for making a Roth IRA contribution changed for each tax filing status, so it's important to know the updated IRS rules. While the 2011 Roth IRA income limits bar married couples earning more than $179,000 and single persons earning more than $122,000 from making a direct Roth IRA contribution, a 2010 rule change offers hope. Most of your peers are able to contribute the maximum $5,000 to a Roth IRA for the 2011 tax year, but you can't. 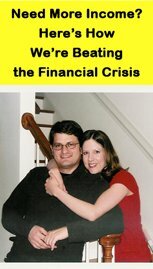 Because you earn $175,000, well in excess of the $122,000 income limit for 2011. So presto! You just contributed $5,000 to your Roth IRA for the 2011 tax year even though you earn more than the 2011 Roth IRA income limits.